The iPhone 7 and iPhone 7 Plus are the tenth-generation smartphones sold by Apple Inc. They were released on September 16, 2016. They came after the iPhone 6S and 6S Plus. The 7 and 7 Plus come in six colors: matte black, gold, silver, rose gold, a new jet black finish (a shiny shade of black), and a red finish (released on March 21, 2017) to recognize Apple and Product Red's partnership in fundraising to fight AIDS over ten years. 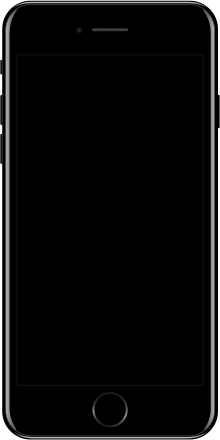 Like previous iPhone models, the iPhone 7 has a screen size of 4.7″ (11.94 cm), while the Plus model has a screen size of 5.5″ (13.97 cm). The most noticeable difference is the shape of the camera lens compared to older models. The iPhone 7 has a larger round lens, while the 7 Plus has two lenses. They are both water-resistant and meet IP67 guidelines. The iPhone 7 and 7 Plus use Apple's Lightning connector for charging and syncing. The new Home button is also capacitive, meaning that it no longer "clicks" like previous Home buttons but senses pressure for actions like going to the Home screen, taking screenshots, using Touch ID, etc. The iPhone 7 also no longer has a headphone jack. Accessories that would normally go into a headphone jack instead have to be plugged in to a special headphone jack adapter. ↑ "Apple iPhone 7 specs". Phone Arena. Retrieved 2017-06-13.